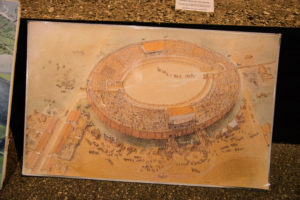 My cousin Dave and I went on a jaunt in London the other day, looking for more Roman remains. As usual, we got distracted and ended up seeing more than we’d intended – but that’s the joy of wandering the streets of London sniffing out all the history we can fit into one day! The trains into Fenchurch Street Station were disrupted so we ended up at Liverpool Street Station and although we’d planned to go to the Guildhall, then return to Spitalfields, we got sidetracked and went to Spitalfields first, then Guildhall and then returned for another look round Spitalfields. First we visited Christ Church in Spitalfields and met a lovely lady called Ava, who apparently had shared a stage with evangelist, Billy Graham years ago. She even offered to sing for us! Well, how could we say no? 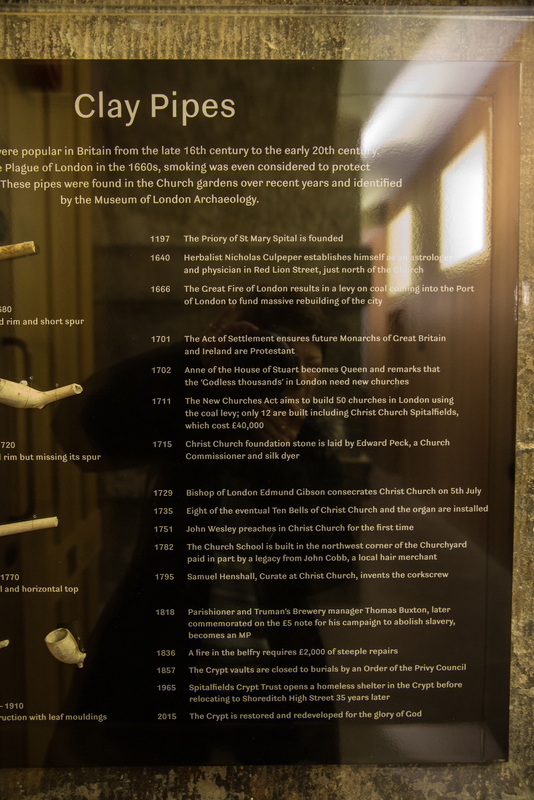 There is a cafe in the crypt and after tea, Dave and I found some old clay pipes in a display case with information about the church and some notable people involved with it. For example, in 1795, Samuel Henshall, curate of Christ Church invented the corkscrew. And in 1751, John Wesley preached in the Christ Church for the first time. After our detour, we decided to go straight to the Guildhall as planned but unfortunately, as often happens to Dave and me, we got lost. 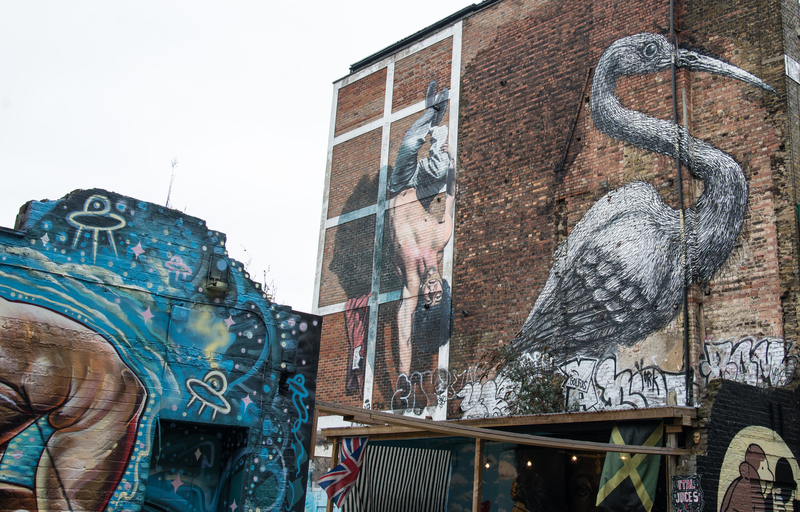 It wasn’t all bad news though because we ended up in the very colourful Brick Lane with its amazing selection of restaurants and wonderful street art. And on our way back to Spitalfields, we passed a fashion college where we saw models posing for a photographer by a rubbish bin! 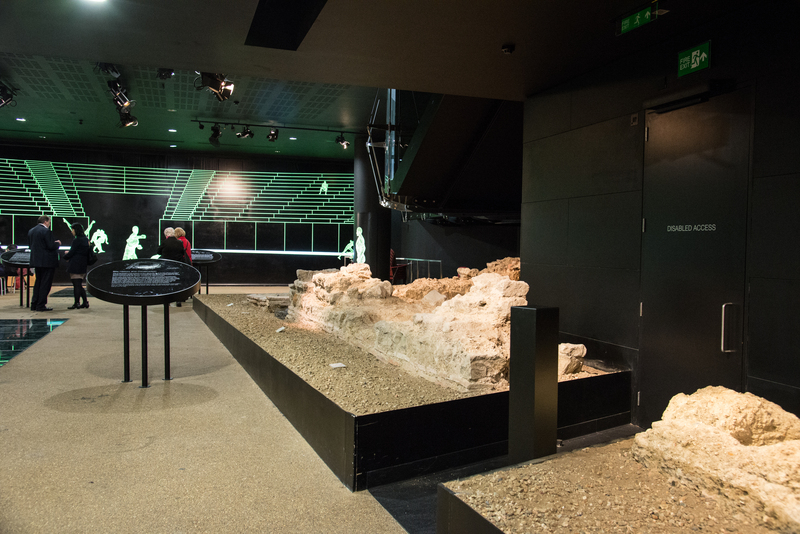 Finally, we made it to the Guildhall and although we didn’t see the Harrison clocks which apparently are now in the Science Museum in South Kensington, we did see the Roman amphitheatre – or what’s left of it – in the basement. 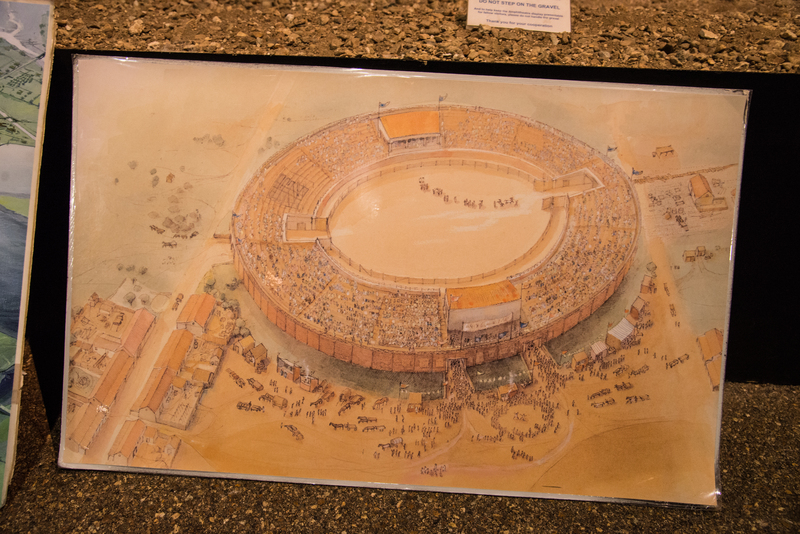 This is an image of what the Roman amphitheatre would have looked like when London was known as Londinium. 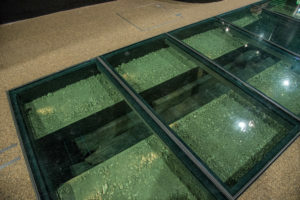 What remains today is part of the approach to the arena although there are still wooden drains which can be seen, protected under glass. Another unscheduled stop was in the intriguingly named St. Lawrence Jewry Church. So called because the original twelfth century church stood on the eastern side of the city, then occupied by the Jewish community. That church, built in 1136 was destroyed along with a great deal of London during the Great Fire of 1666. The building which replaced it, was designed by Sir Christopher Wren in 1680. It was almost completely destroyed by fire again, in 1940 and restored in the tradition of Wren’s building in 1957. Today, it is the church of the Corporation of London and is situated next to the Guildhall. Then it was back to Spitalfields and a look round the flea market on the site of the old Spitalfields Market. Spitalfields takes its name from the hospital and priory, St. Mary’s Spittel that was founded in 1197. It was in a field next to the priory where the now famous market first started in the thirteenth century and in 1682 King Charles II granted a Royal Charter for a market to be held on Thursdays and Saturdays in or near Spital Square. Spitalfields had been relatively rural until the Great Fire of London. By 1666, traders had begun operating beyond the city gates – on the site where today’s market stands. The success of the market encouraged people to settle in the area and following the edict of Nantes in 1685, Huguenots fleeing France brought their silk weaving skills to Spitalfields. Their grand houses can still be seen around what is now the conservation area of Fournier Street. The Huguenots were soon followed by Irish weavers in the mid-1700s following the decline in the Irish linen industry and subsequently, many of whom would work on the construction of the nearby London docks. The Irish were followed by East European Jews escaping the Polish pogroms and harsh conditions in Russia; as well as entrepreneurial Jews from the Netherlands. 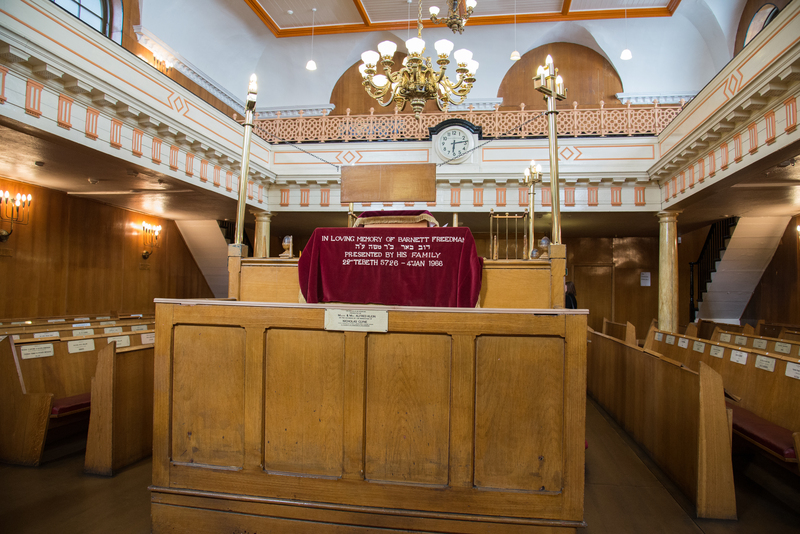 From the 1880s to 1970s Spitalfields was overwhelmingly Jewish and probably one of the largest Jewish communities in Europe with over 40 Synagogues. 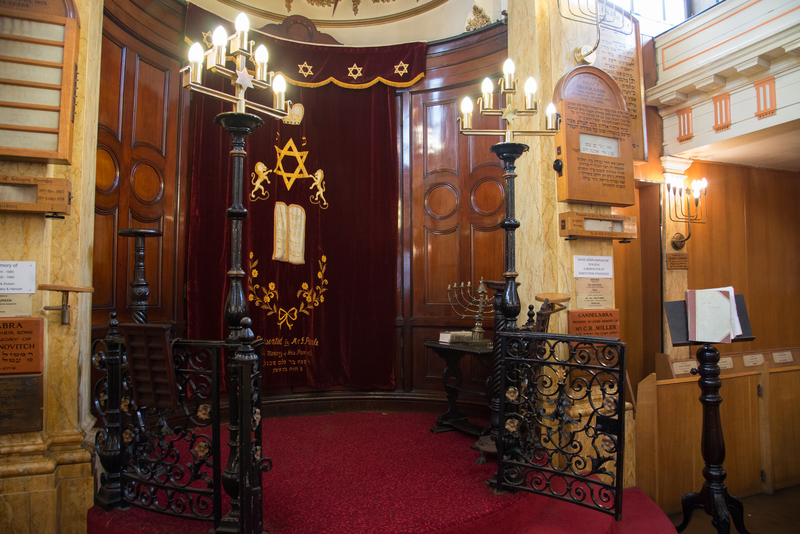 Dave and I visited one synagogue – Sandy’s Row Synagogue and it was fortunate that although we arrived it had closed for the day, a meeting was taking place in the synagogue and before it began, we were allowed to wander inside. 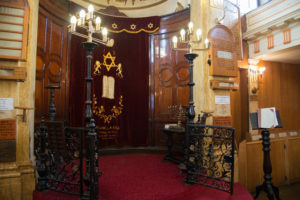 The site of Sandys Row Synagogue was once open-land called Old Artillery Gardens next to the pasture-land of Spital Fyeld’s, which was named after Henry VIII’s royal artillery, the ’Gunners of the Tower’ who used this place for experimenting with ‘great and small artillery’ in the sixteenth century. In 1600s, it is believed a wooden chapel was erected on this site and used by French Huguenot Protestants. In 1766 a brick building called L’Eglise de l’Artillerie (the Artillery Church) was erected on this site, this is the same building that stands there today. The Artillery Church merged with the London Walloon Church in 1786, and then for the next fifty years, the church was let to other christian groups; including the Unitarian and Scottish Baptists before becoming known as Salem Chapel and then Parliament Court Chapel. In the 1840s Dutch Ashkenazi Jewish migrants mainly from Amsterdam began arriving in Spitalfields. They were economic migrants seeking a better life, rather than refugees fleeing persecution like the thousands of Ashkenazi Jews who came after them in the 1880s. The Dutch Jews occupied the narrow maze of streets in this area and continued to practise the trades they had bought with them from Holland, which were predominately cigar making, diamond cutting and slipper and cap making. Within this area a small, distinctive, tight knit and self-sufficient Dutch Jewish community was formed of about a thousand people. They had their own practices and customs, which were different from other Ashkenazi Jewish groups. To the frustration of the more established Anglo-Jewish population living in the area at the time, ‘the Chuts’ (as they were known locally) refused to join any of the existing synagogues. 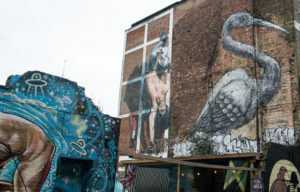 Instead they rented a small room in a building on Whites Row Spitalfields, (close to Sandys Row) where they held daily prayer meetings and Shabbat services. In 1854 fifty Dutch Jewish families from this community began fundraising. 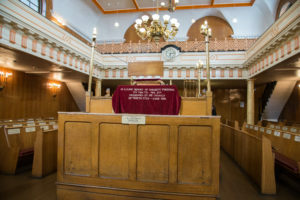 In 1867 enough funds had been amassed to purchase the lease on the chapel in Sandys Row, which the society had been renting for sometime, the building was known as The Parliament Court Synagogue. Dave and I had hoped to visit Dennis Severs’ House in Folgate Street, Spitalfields which gives an insight into the home life of a family of Huguenot silk-weavers from 1724 to the 20th century but sadly, it was closed and that reminded us that if we wanted to avoid rush hour, we’d better head back to Liverpool Street. Dave and I will be doing more jaunting in London soon!